The content of the previous post outlined events from the start of the twentieth century up to 1922. On the surface things evolved in a logical sequence meeting reasonable demands of the Zionists for the formation of a homeland for the Jews, in Palestine. But all was not at it appeared. There was a deal of intrigue, abuse of power and authority using financial gifts to ensure the Zionist lobbying would be well advantaged. To understand the consideration of the Zionist cause as reasonable requires a look-back to Russia in the late nineteenth century and the expansionist activities of Czar Alexander III who annexed large areas of (present day Poland). The places annexed were heavily populated by industrious Jews who had lived there for many centuries. Under pressure from Russian power-brokers the Czar introduced the anti-Semitic Laws of 1882 which severely restricted the activities of Jewish communities resulting in a forced emigration of over 2 million Jews, mainly to the United States. A small group of Jews, fed up with the recurring oppression decided to return to Palestine and establish communities in their former homeland. Not an easy task since the Turkish government was not keen to encourage a return of Jews to lands they had been banished from so many centuries before. The aspirations of the as yet leaderless group, (later titled, “Lovers of Zion” “Hovevei Zion”) attracted the attention of Isaac Goldberg, a rich Jewish philanthropist who arranged a purchase of land near Rishon, in Palestine. Rishon Lezion, the first Zionist settlement was established. The settlers worked hard, irrigating and cultivating land, which had yielded nothing for many years and their efforts brought about the purchase of new land greatly extending the settlement, encouraging ever more more Russian Jews to join the initiative. Its activities were classified charitable and strictly non-political. Later known as the “Odessa Committee” it successfully lobbied Baron Edmond James de Rothschild, Kalonimus Wolf Wissotzky, who founded Wissotzky Tea, the largest tea company in Russia and other philanthropists to provide financial aid to Jewish settlements. The First Zionist Congress, in Warsaw, in 1897, was organized by the “Odessa Committee” whose numbers had increased to over 4,000 members. “Hovevei Zion” was absorbed by the Zionist Organization after the conference. Theodor Herzl, accepted father of modern Zionism, was aware of an ever increasing need for new money, to be used for the purchase of land for settlement, but at the beginning of the twentieth century the Zionist movement operated in Eastern Europe and Russia and was only a fringe organization in Western Europe and the US. This weakness had to be addressed. In 1905, Balfour, who succeeded his uncle, Lord Salisbury, as Prime Minister, in 1902, was convinced by the Herzl rhetoric that the growth of Jews could determine policy in Germany, Russia and the United States and introduced the “aliens” bill, the first piece of modern immigration legislation, in order to prevent east European Jews from finding refuge in Britain. He warned parliament that the Jews “remained a people apart, who held a religion differing from the vast majority of their fellow countrymen, and only inter-married among themselves”. His argument, pernicious in its effects, did not offend the Zionist leadership in Britain. On the contrary, Chaim Weizmann, the Russian-born Jewish immigrant who succeeded Herzl after his death in 1904, appeared to sympathize with Balfour’s position. But Weizmann had previously met with Balfour, Churchill and Zionist activists in Birmingham in 1902 and discussed remedial measures including an “Aliens” bill required to bring an end to the crisis created by the influx of Jews from Russia and Eastern Europe. 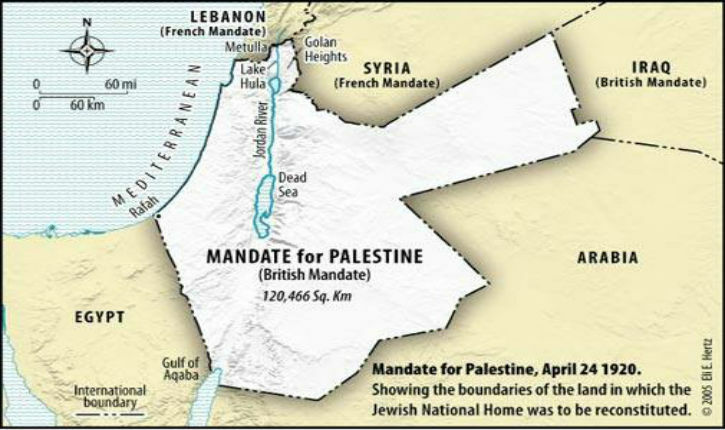 It was agreed that the Zionist’s would bring forward to the British government, any proposals for change and Herzl asked Joseph Chamberlain, to permit Jewish colonization in Egypt near El Arish, with a view to a northward expansion into Ottoman Palestine. The British viceroy in Egypt, Lord Cromer, rejected Herzl’s proposal as likely to antagonize Egyptians, and Chamberlain responded with an offer to the Zionists of a national home in Uganda. After debating the issue at the sixth Zionist Congress in 1903, they turned the British offer down. Balfour and Weizmann met again in Manchester in 1906. Balfour confessed that he had discussed the Jews with Cosima Wagner (widow of Richard Wagner) and shared “many of her anti-Semitic prejudices”. Weizmann replied that “Germans of Mosaic persuasion were an undesirable and demoralizing phenomenon.” and proposed a new “diagnosis and prognosis” of the “Jewish Problem”. Balfour and Weizmann were as one in agreement that the problem of the Jews was attributed to their forced “exile” from Israel, a curse that could only be eliminated by the return of the Jews to their homeland. Achieving this would attract Jews back to Israel ensuring the settlement of Europe’s people’s apart. Balfour, as Foreign Secretary, made the Zionist prescription British policy in 1917. Weizmann had succeeded in persuading the British government that Zionist interests were the same, just as the British Army under the command of General Sir Edmund Allenby were overrunning Palestine in November 1917. The Zionist cause was not universally supported by all British Jews. Indeed a solid majority were firmly against all that the Zionists stood for insisting that they had as much right as any citizen to live and prosper in Britain, and they did not want Weizmann, however Anglophile his tastes, telling them they needed to settle in the Judean desert or to till the orange groves of Jaffa. David Alexander, President of the Board of British Jews, Claude Montefiore, President of the Anglo-Jewish Association, and most Orthodox rabbis also opposed the Zionist cause. Other opponents of a British protectorate for the Zionists in Palestine were George Curzon, leader of the Lords and a member of the war cabinet, and the two senior British military commanders in the Middle East. The generals contended that it was unnecessary to use Palestine as a route to Iraq’s oil and thought that the establishment of the protectorate would waste imperial resources better deployed elsewhere. They were overruled. The senior British Army officer, General Clayton, was removed from his post and replaced, at Weizmann’s urging, with Richard Meinertzhagen, an ardent Zionist and an anti-Semitic Christian. A couple of years later the other officer, General Congreve was also removed from office, at the request of Weizmann to Churchill and replaced with an Zionist supporting person. Obstacles removed.!! The increasing political influence of the Zionist’s at Westminster came under attack from all fronts as MP’s, ministers, high commissioners and senior military officers became angry that Weizmann and his supporters were granted open access to government ministers. A disillusioned Sir Arthur Wauchope, High Commissioner in Palestine from 1931 to 1938, complained that whilst Weizmann made many trips to Downing Street, he had never met with a higher ranking British official, from the time he was ordered to co-ordinate his strategy with the local Zionist leader, David Ben Gurion. The Arabs no longer took up any business time between them. Zionist officials focused on developing political relationships with British anti-Semites, with influence over government policy without regard to Jewish interests in Britain or Palestine where, by the end of 1917 many Jews and Arabs were starving due to the impact of the on-going war with Turkey and Germany. The US did not declare war on Turkey in April 1917 preferring to commit its limited resources to the campaign against Germany, in Europe. This provided the US with an opportunity to establish a dialogue with Turkish officials through which it was able to send humanitarian aid and physical resources to the Middle East to ease the suffering of Arabs and Jews. President Woodrow Wilson, (in response to pleas from ardent anti Zionist, Henry Morgenthau, the American Ambassador to Turkey) by-passed Britain and France and extended the peace dialogue with the Turks to include a peace treaty. An early meeting, in Switzerland was arranged. But the powerful American Zionist, US Supreme Court Justice Louis Brandeis got wind of President Wilson’s plans and and informed Weizmann, who alerted Balfour, who contacted President Wilson and brought the initiative to an end. Balfour and Wilson subsequently agreed a better course of action would be to allow Britain to finish off Turkey, after which a Jewish homeland could be created without delay meeting the Zionist wishes. Next Next post: Are These Guy For Real?? Surely Not!!! !